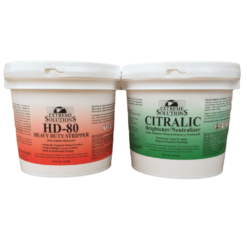 Our HD80 Kit was developed for professional wood restoration contractors who need consistent and predictable professional results. 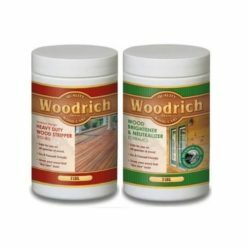 Now you can easily achieve professional results using the Woodrich Brand two-step restoration system. The first step uses the HD80 heavy duty stripper to strip tough existing stains, solid colored stains, or the more stubborn oil-based stains and sealers. It will also remove old, dead, gray wood fibers, mold, mildew, dirt, and grime. Second, the Citralic brightens and neutralizes your wood, giving it that fresh-cut look and condition it for finishing.